The bandwidth of a spectrometer is an important error-influencing factor in spectral measurement. To obtain accurate results, bandpass correction is an indispensable step in spectral data processing. To deal with such a problem, several methods have been proposed, including the differential operator method using a local polynomial approximation and the Richardson–Lucy method combined with a regularization. Here we employ a method based on the maximum a posteriori estimation. The efficiency of the method is verified through a large number of experiments on the spectra of white light-emitting diodes. 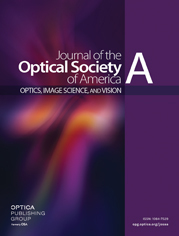 By comparing the error of the reference spectrum, it was found that this method can effectively correct spectra, thus providing more accurate information for further analysis.